The European Parliament elections will most likely take place on 23-26 May 2019 across the EU. What they may be remembered with is the conflict between French President Emmanuel Macron and some of the big European political families and especially the European People's Party's. After winning the presidential election in France last year on a strongly pro-European reformist ticket, Mr Macron insisted in his European speech in the Sorbonne on changes in the election process for the European Parliament by introducing for the first time a transnational list even for the election next year. The EP, however, rejected the idea and, in response, President Macron blocked the leading candidates procedure, which was for the first time tested at the last European elections in 2014, and through which Jean-Claude Juncker was elected president of the European Commission. Macron himself said he is not against the Spitzenkandidaten procedure but believes that it is not enough. He again insisted for a transnational list during his debate with MEPs last month. Another thing that would distinguish the 2019 European elections will be the return of euroscepticism in European politics with a new force. About these and other issues I spoke with Croatian MEP Jozo Rados from the ALDE group. He is a member of the Civil-Liberal Union (GLAS), created by members of the Croatian People's Party (HNS) who rebelled against the party's participation in a ruling coalition with the right-wing Croatian Democratic Union (HDZ). 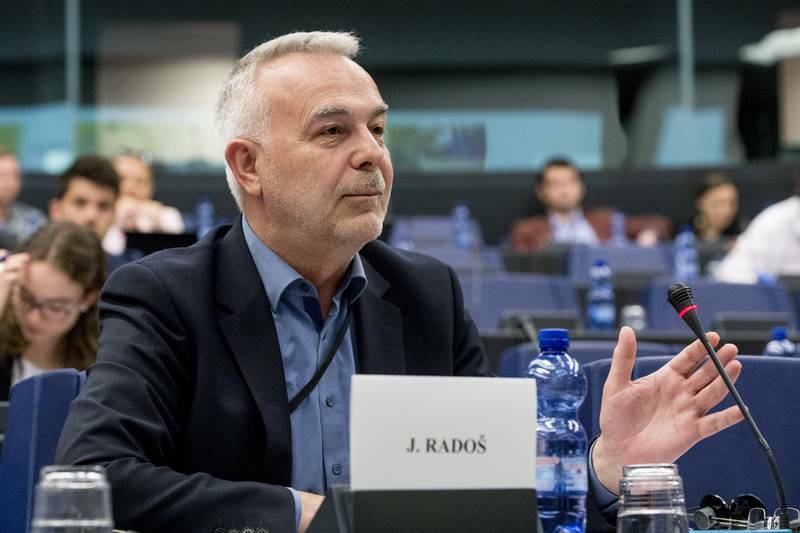 Jozo Rados is a member of the EP foreign affairs committee. The Croatian MEP deems it unrealistic to expect a better EP than it currently is. Moreover, he fears it could be even worse because of the upward trends not only of anti-EU forces but also of authoritarian ones who, too, are slowing the EU down and its needs for stronger integration. According to him, it is important to take into account countries which do not explicitly demonstrate EU scepticism but are not enthusiastic about deepening of integration. It is not to be expected that a positive, pro-European and integrationist majority will emerge in the EP, he said and stressed that despite his ambition the French president and his party En Marche! will hardly succeed to increase the EU's reformist capacity tangibly. What En Marche! can do is to reinforce the pro-European wing of the French contingent. Jozo Rados is sceptical regarding expectations Emmanuel Macron to create a political group of his own in the EP able to attract pro-European MEPs, because this would mean breaking the classical political structures in individual countries. Part of the problem is that the biggest political group, EPP, is causing growing discontent with its uncritical support for illiberal and authoritarian regimes. The Croatian MEP expects illiberal and authoritarian trends to become stronger within the EPP. He stressed, however, that the EPP core of pro-European parties is quite strong but it will hardly be able to discipline the illiberal forces or to force them to change their policies. It is more likely the situation to remain the same or to slightly worsen. The leaving of British MEPs will not significantly influence the situation because in the EU there are enough factors that play a slowing down role. According to him, Brexit should not be overestimated in terms of impact on European politics. At the previous elections, the Liberals in the EP lost their third position to the British Conservatives and became the fourth biggest political group in the EP. ALDE hopes to take the third seat back but Jozo Rados points to a problem. For a political group to be able to expand it has to become more heterogeneous which means making compromises. In the previous EP, the Liberals had around a hundred MEPs and were a very strong group. ALDE cannot be expected to go farther than what it is today. But it could be worse. The biggest threat to the group is the French president's party, which is also an opportunity. There are several questions, Jozo Rados explains. One is whether Macron's political force will become part of ALDE and, if yes, whether it will dominate and therefore question the group's classical policies. It is not excluded Macron's party to attract some of the ALDE members. There is also a possibility Macron to conquer the liberal wing of EPP or of the Socialists and Democrats. But to Mr Rados the most logical thing is Macron to be an ally to those with whom he is the closest and this is ALDE. Otherwise, he is a threat to them. Another reason why it is hard to expect an expansion of the Liberals is the rise of euroscepticism and authoritarian political forces, said Mr Rados. He disagrees that the political centre is shrinking in Europe. In the past 10 years, the group has managed to keep more or less the same level. Some countries lose ALDE deputies but others gain some. In the previous EP (2009-2014), ALDE had four Italian MEPs and now they have none. The German Liberals also have significantly less - from 12 in the previous term to 4 now because of FDP's decline. The British Liberal Democrats had 12 MEPs before and now they have just one. This is to some extent compensated by two Croatian MEPs and four from the Czech Republic, Jozo Rados explained and pointed out that in Poland is emerging a relatively profiled and strong Liberal party. Liberals are emerging in Spain, too, so it is now all about the talents of those party leaders and ALDE's to organise themselves better. Judging by opinion polls, he hopes that Croatian Liberals will be able to keep their current presence of two members. 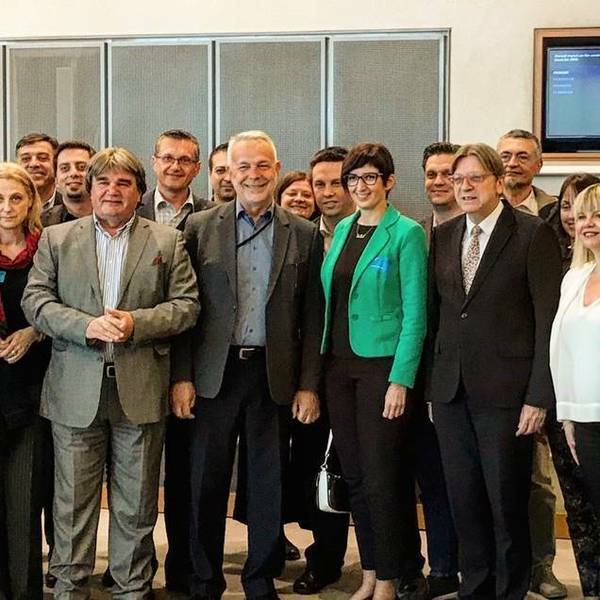 They plan to stand for the first time alone as the so called Amsterdam Coalition, which unites three Liberal parties in Croatia: the aforementioned GLAS, the Istrian Democratic Assembly (IDS), and the new formation "Smart" (Pametno). 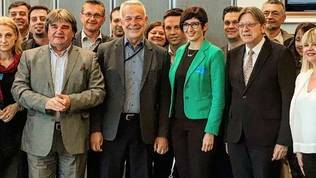 At previous European elections, the Liberals managed to send representatives of their own in a joint list with the Social Democrats. But is the coalition under threat by the promises of Prime Minister Andrej Plenkovic to return the biggest party currently, HDZ, to the political centre? Jozo Rados says this could indeed be a risk for the Liberals because right-wing parties getting closer to the political centre always weakens the parties in it. The question is, however, whether Mr Plenkovic will have the power to bring HDZ back to the centre which was an electoral pledge of his but real steps emerged only after the ratification of the Istanbul Convention. Even if he succeeds, the troubles the Social Democratic Party finds itself into open possibilities for growth in the centre, so, he says, there is enough space for strengthening of the Liberal groups. The leading candidates procedure is good but it is not sufficiently important. It contributes to making the entire electoral process a little more interesting, more attractive and more distinctive but this in itself means nothing. Moreover, it is not enough the procedure to be applied only for the election of a European Commission president. The right solution, according to the Croatian Liberal, is to adopt a model of transnational lists but, at the moment, they are a problem for smaller countries as it could break the representation they are currently enjoying. Even if a solution is found, for example by adopting a number of exceptions, the difficulties are many and resistance is big. Neither the Spitzenkandidaten nor transnational lists will bring any serious change in the EP structure. In the end of our conversation, Jozo Rados defined himself as an optimist for the future of Europe. In the past years, he said, there are trends which are absolutely positive, such as the strengthening of the security and defence policy, which, at this stage, can be seen just as a signal but against the backdrop that in the past 20 years almost nothing has been done it should be welcomed. There are policies that are developing in inertia, like the creation of an energy union, the digital union, the banking union. The transport packages are also further integrating the Union. All these positive and big projects will continue to progress. "The EU can hardly go backward because it took a long time to create it, it is too strong to be able to make steps back. 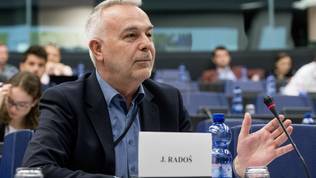 The EU will gradually move forward but I still see no potential for bigger steps regarding its structure or a more efficient functioning, like for example own resources [in the EU budget]", Mr Rados said. All open policies and all uncontroversial ones will surely develop further. Generally, it can be said that the EU will move very slowly but forward, he added. Against the backdrop of growing euroscepticism and illiberalism Jozo Rados positioned his country in the middle. The condition of Croatian democracy is good but democraticity is not accompanied by relevant results at practical level, like economic growth, efficiency of the public administration, or energy policy. The biggest problem of Croatian politics at the moment is that the country is lagging behind. As Eurostat data suggest, Croatia is moving backwards in terms of gross domestic product and other indicators. The country has potential to move toward the centre but it is going backwards instead, the MEP concluded. The European Commission foresees a 2.8% growth of Croatian GDP in its spring economic forecast, which is below the development perspectives of other Central and Eastern European countries. The economy of neighbouring Slovenia, for example, is expected to grow by 4.7% and Romania's by 4.5%.